Can y’all believe that we are still milking posts from that baby’s birthday party a few weeks ago? 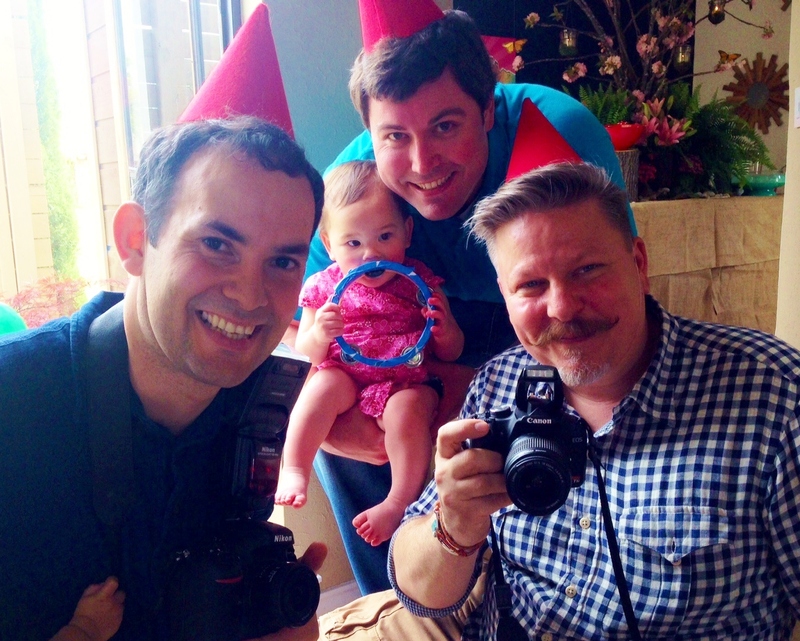 We had to give little Madeleine a gift worthy of a woodland themed first birthday. and, as y’all can see…….my new one is a little worn well-loved too. 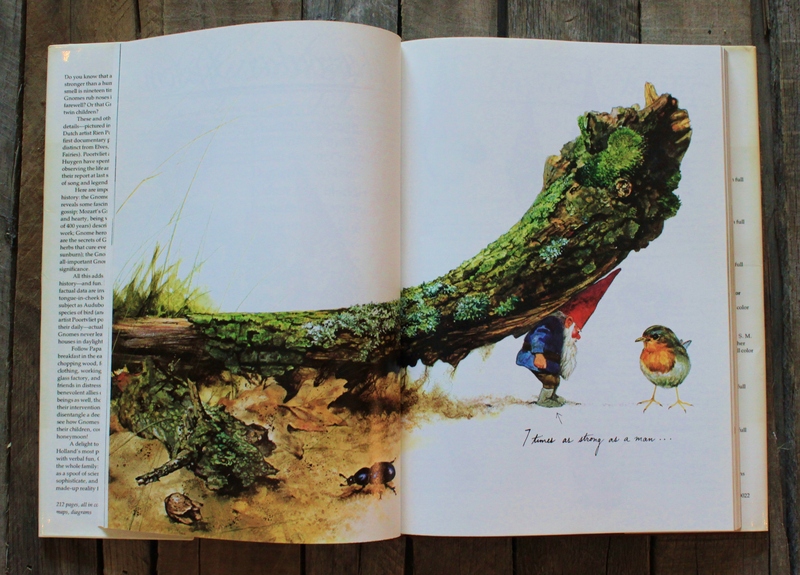 For more than 35 years this beautifully illustrated book has brought joy and wonder to readers of all ages. 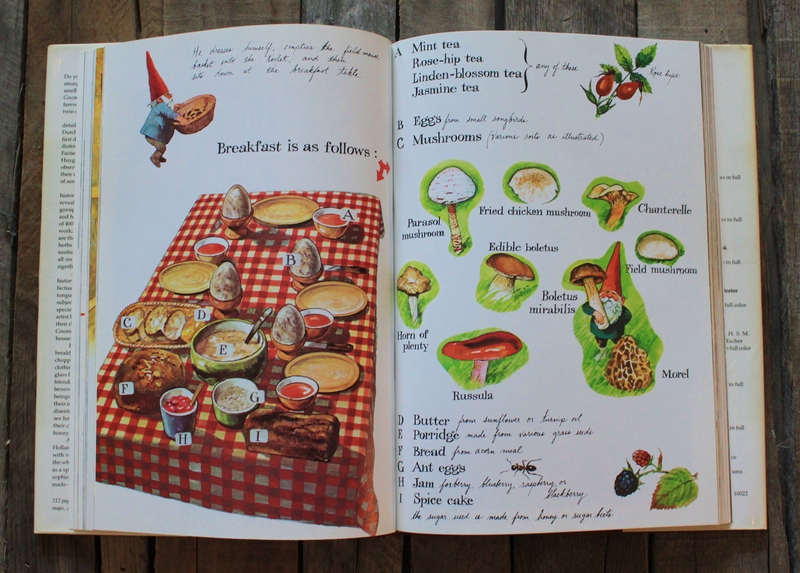 This delightful Dutch book was first published in Holland in 1976, and translated for the English-speaking market in 1977. It was an immediate hit. (It’s a little know fact that it was Martha Stewart’s husband, Andy, who was the publisher responsible for bringing the book to American audiences.) 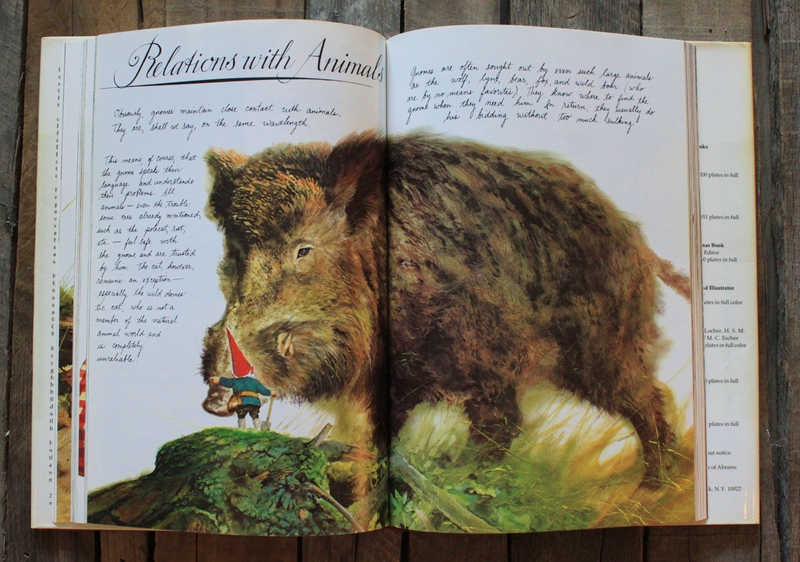 Writer Wil Huygen and illustrator Rien Poortvliet perfectly document the gnome population living in Holland at the time. 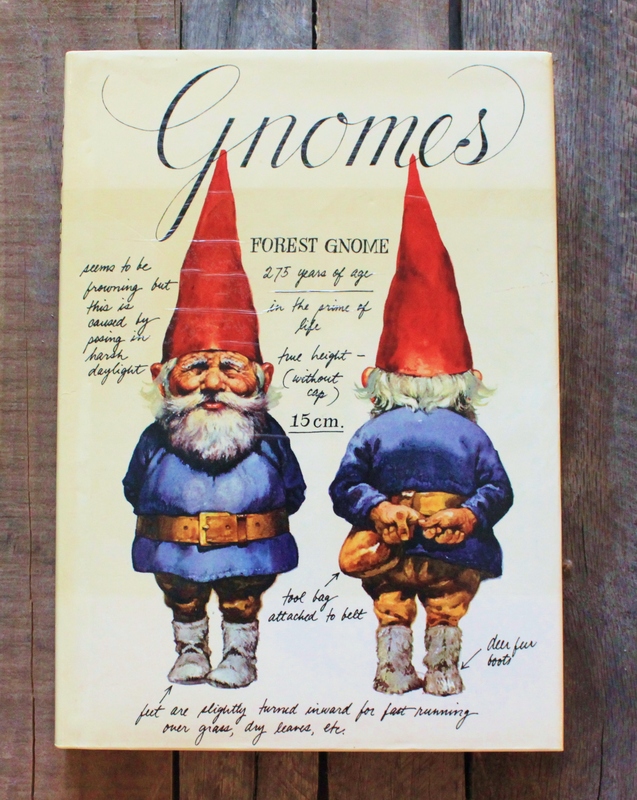 They cover all areas of gnome culture: architecture, education, courtship, medicine, industry, and even relationships with other mythical creatures. 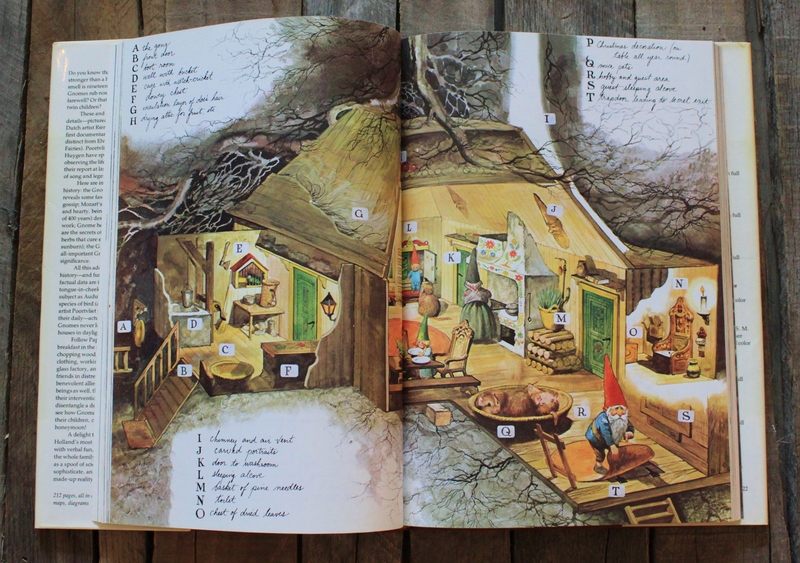 I can’t emphasize enough just how much artistry went into every corner of this book. 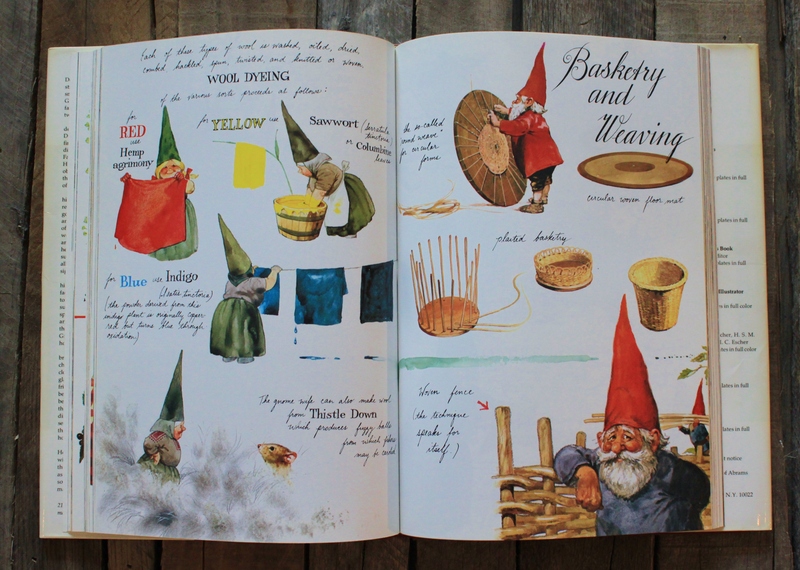 But it isn’t just the illustrations, the attention to detail in imagining this complete world of wood gnomes is absolutely heart warming. Order one for yourself, or someone special, today. 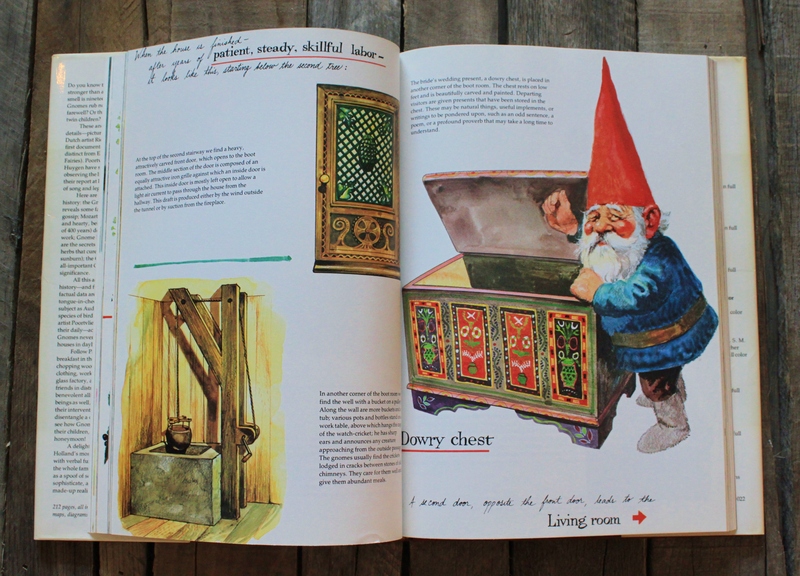 There’s a deluxe edition that was released in 2011 to commemorate the 35th anniversary of the book….but its iconic cover has been replaced with single, laughing, pointing gnome. …..and will no doubt, love it as much as I do. I’m pretty sure that y’all will too. 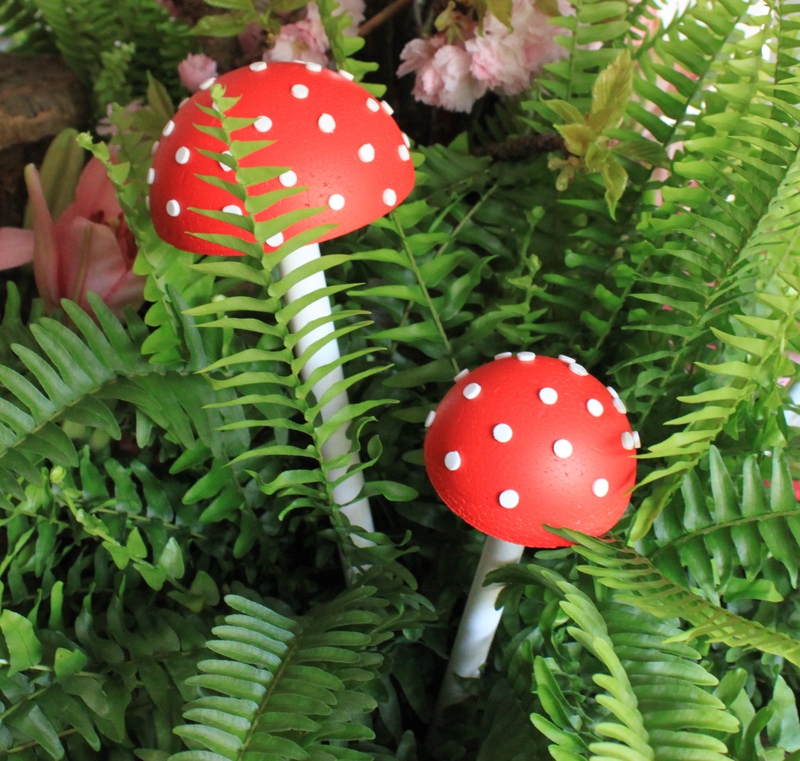 Here are a few of the details that we did to make Madeleine’s woodland themed first birthday extra special. 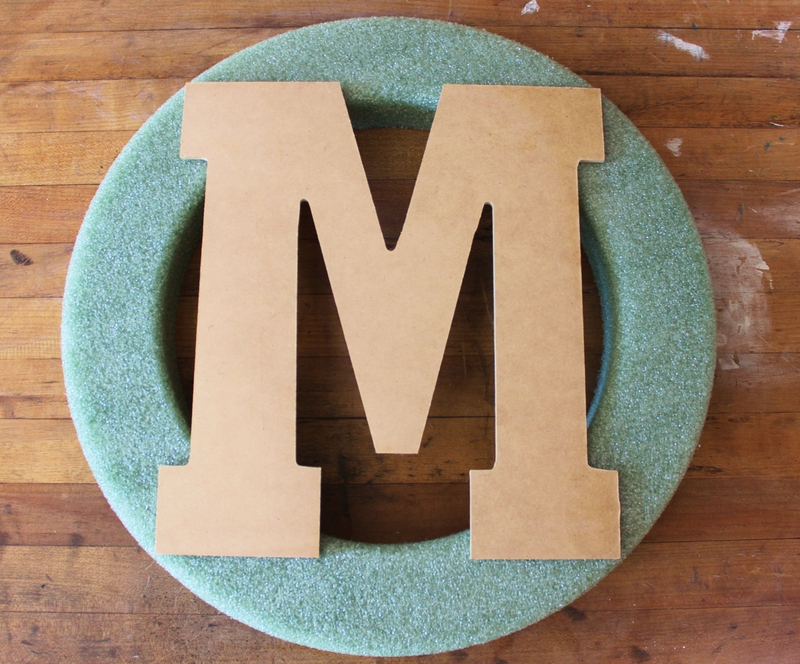 We started with a green foam wreath shape and an “M” cut from fiberboard. Both from the craft store. 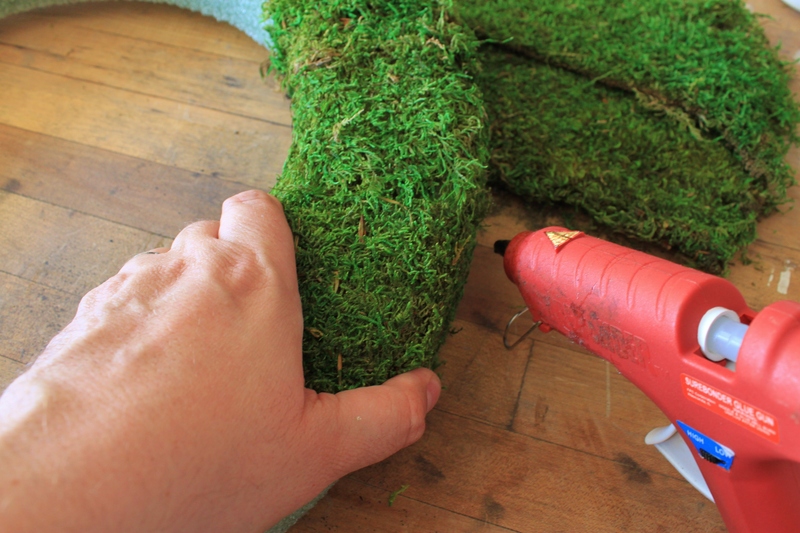 With a glue gun I carefully glued sheet moss pieces to the wreath form. Got these at the craft store too. 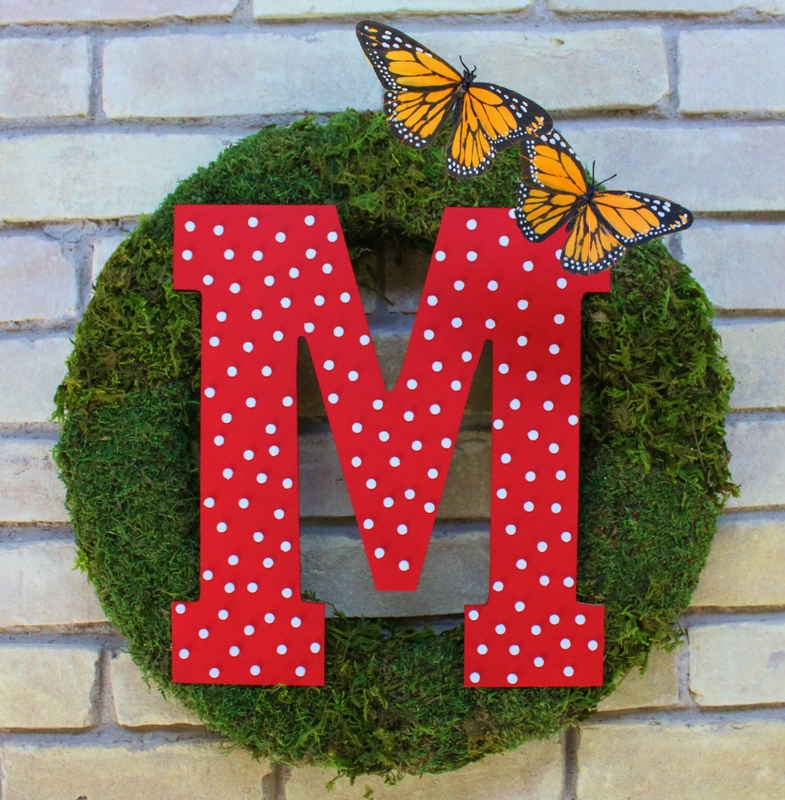 After spraying the “M” with Design Master Holiday Red spray paint, we punched dots from self adhesive craft foam with a hole punch and just randomly covered it. Trust me, Jamie was punching dots for days. We started with a bag of foam ball halves, again from the craft store. 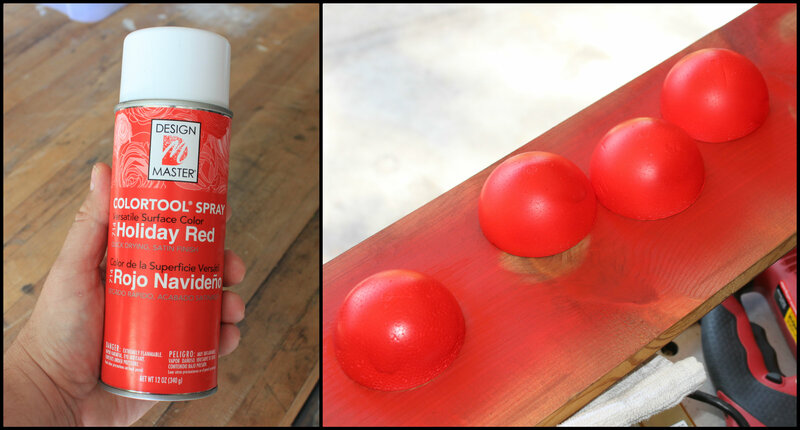 Then sprayed them, also, with Holiday Red Design Master spray paint. 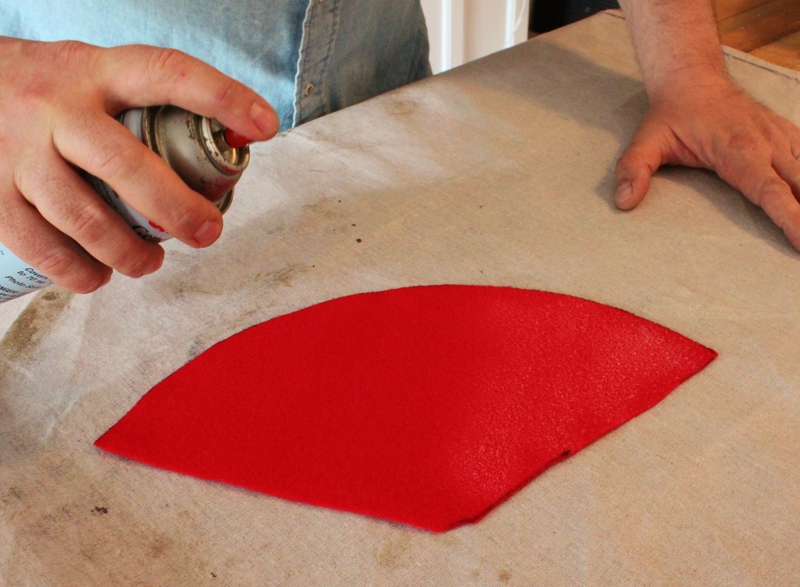 Design Master is made just for crafts like this…regular spray paint with eat right through the foam. Trust me. 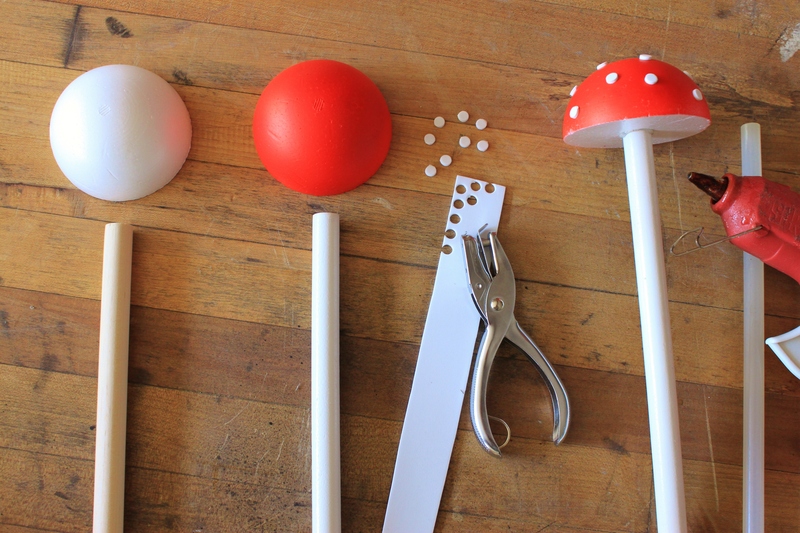 With more hot glue we attached the toadstool tops to the sprayed white dowels. 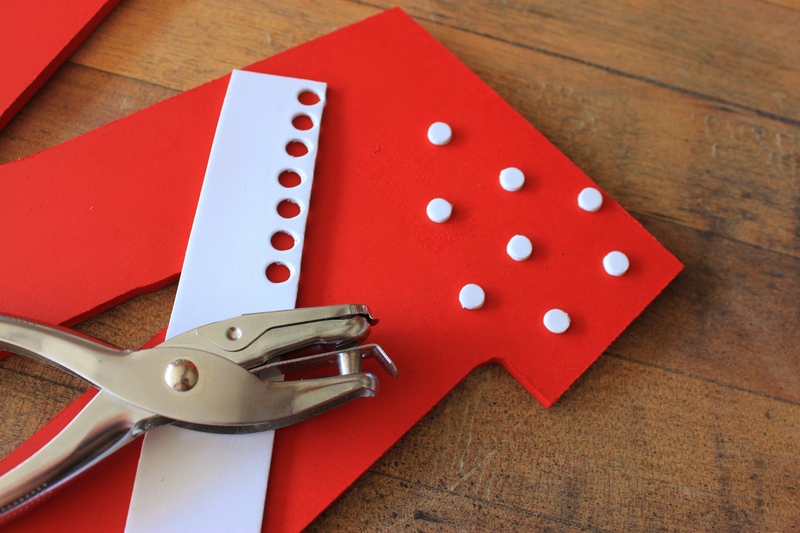 …and again added foam dots punched from adhesive craft foam. We made 2 sizes and simply stuck them in all the ferns to keep things looking a little “cartoon-y” and not too serious. It was a kids party after all. 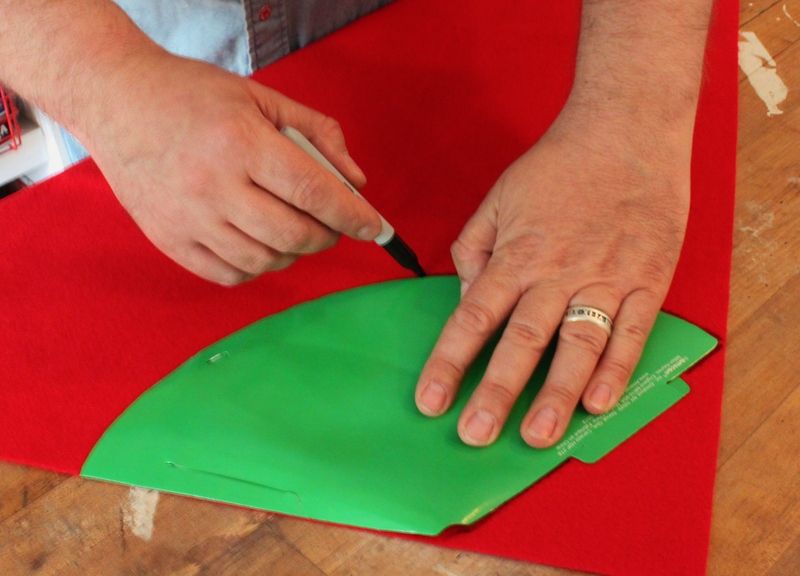 I disassembled a plain party hat from Party City and used it as a template to trace on a sheet of red felt. 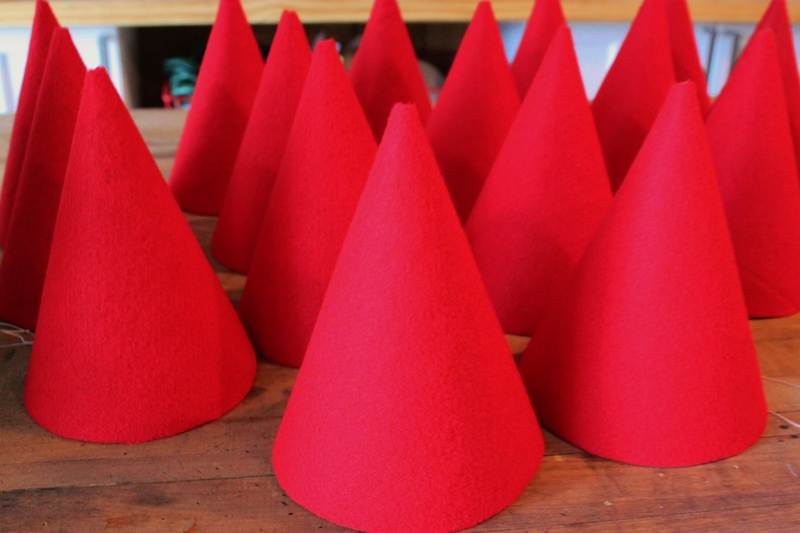 After cutting out the felt hat shape, I gave them a good, heavy spritz of spray adhesive. The overspray is pretty messy, and you want to go as close to the edges as possible, so lay down a drop cloth to protect all the surfaces. 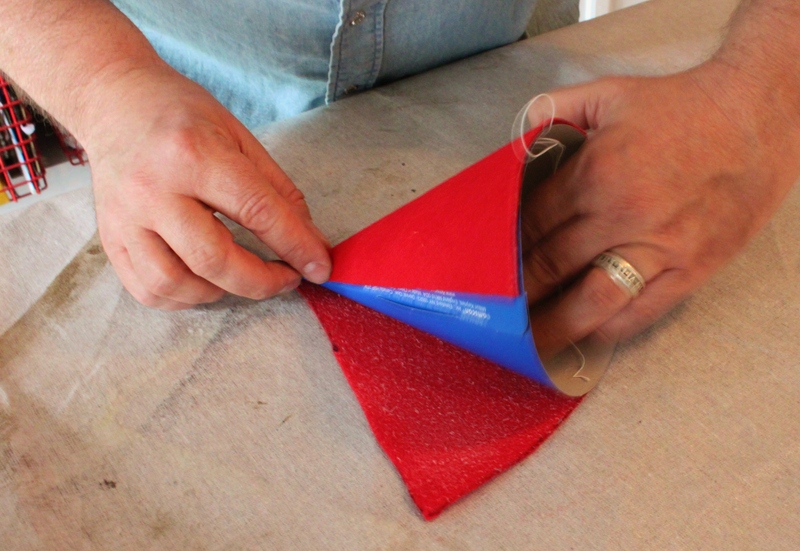 I gently rolled an assembled party hat over the red felt piece pushing down firmly as I went. 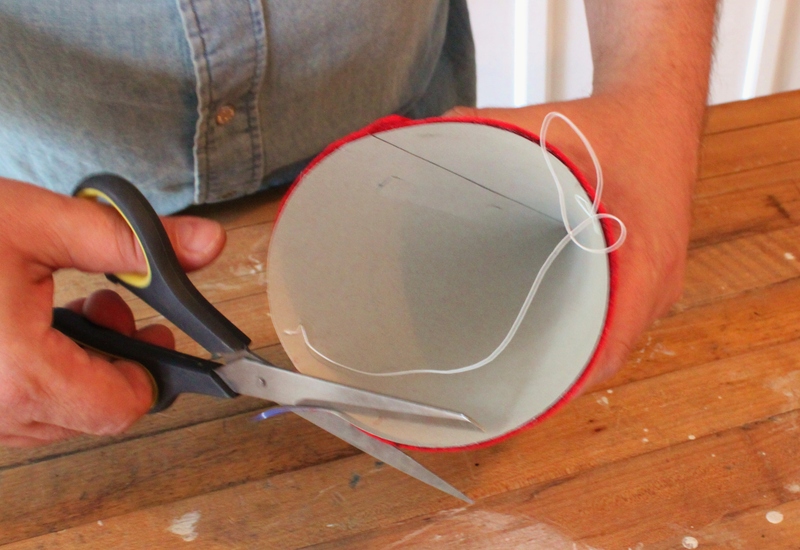 Then used a pair of scissors to trim the excess felt……or possibly hat, whichever needed trimming more. Done, and how charming are these? Most of the kids would only wear their hats for a few seconds.